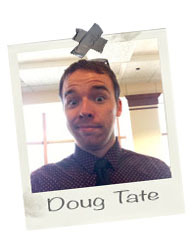 Doug is a Residence Hall Director working at his alma mater, Western Kentucky University. He’s back in the Bluegrass after earning his M.S. in College Student Personnel from the University of Central Arkansas. Doug’s passion areas include student involvement, residence life, and assessment. His biggest goal is helping students discover who they are going to become. When he’s out of the office, Doug’s an avid enjoyer of the outdoors, and can make a S’mores cake that will knock your socks off. Connect with Doug on Twitter @dougtate or on LinkedIn.